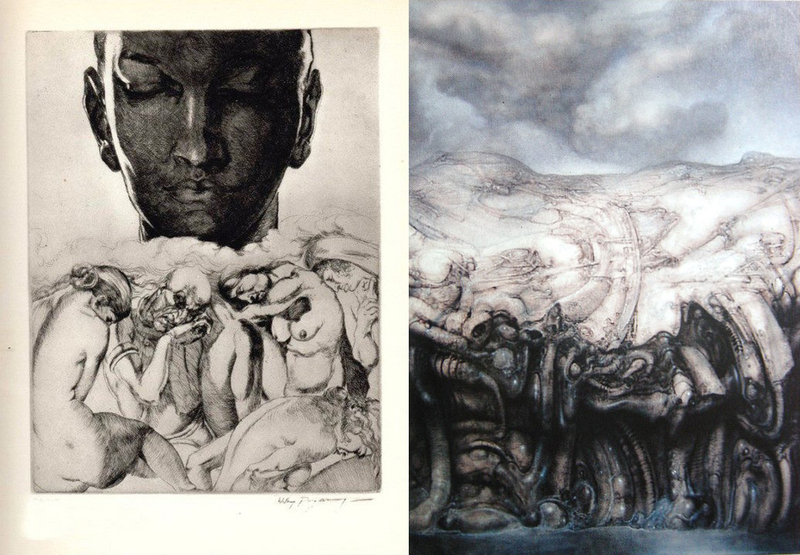 The image of an illustration from 1934 offers the idea of naked human bodies huddled beneath a layer of cloud, and then it hits me that HR Giger would easily have been interested in this, as if the layer of cloud were a canopy and the human bodies together were like a biological landscape. The band on the half naked man becomes replicated along the atrophied rotting remnant of an arem like form that's bent upwards at the elbow, the two hands helds together become reduced to a vague claw like impression. The features that make up the head are nearly non-existant. 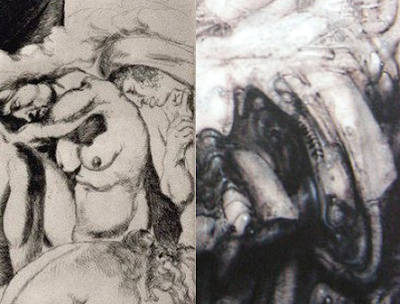 The leg of a woman and the elbow of a woman bending over at the bottom remain as atrophied impressions. 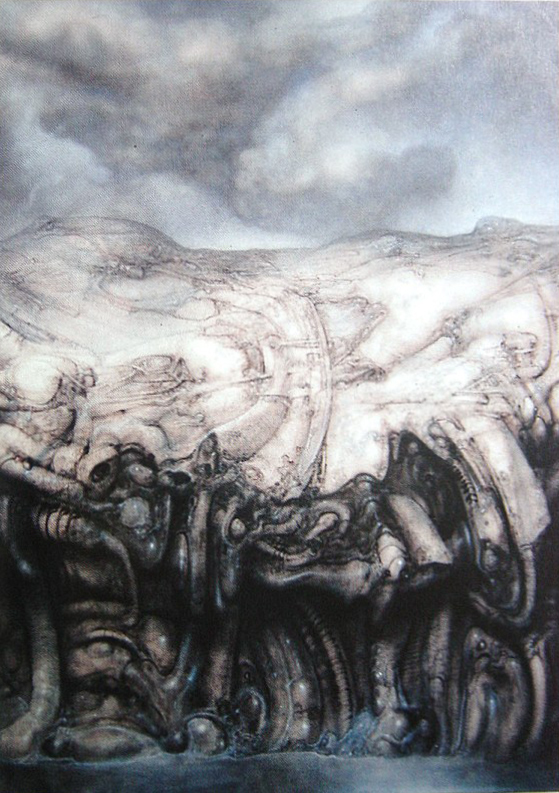 Traces of the forms created by the man's underpants can still barely be seen in Giger's work. Body forms become even more abstracted. Perhaps the curve beneath the belly of the central woman becomes the curved tentacle, and what might be her upper leg raised becomes an abstract pale shape. Her belly, her breasts and the shadowy area beneath her arm becomes almost an upward pointing fish head shaped form. A woman's head with a veil and arm becomes an elongated shape to the right almost similar to a razor shell or perhaps the blade of a cleaver. 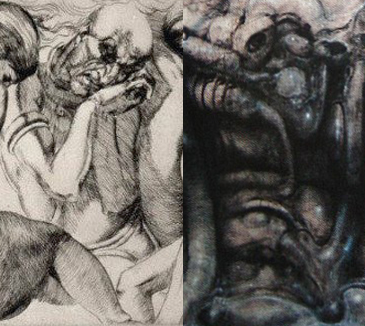 Other possible comparisons between details might well be too abstract to be able to make any specifically.